From left to right: Danielle Myzk, Claire Bublitz and Ronald Baynes, professor of pharmacology. Of all the items that I keep in my wallet, a particular business card holds special significance. The paper is smudged; the edges look worn. I cannot remember how many times I have lost it. When I show people the card, I always explain why it’s so important. Ten years ago, I worked at the United States Food and Drug Administration as a veterinary pharmacology intern. I was a young, motivated pre-vet student enrolled at NC State with dreams of becoming a veterinarian, but I struggled to stay on track. I had no idea what I wanted to do with my life and career, but I knew it needed to involve working with animals. In the back of a conference room, where I sat terrified of the medical jargon I could barely spell, a veterinarian sat down beside me and asked for my opinion on his research summary. After discussing everything from pharmacokinetics to the game of cricket, Ronald Baynes handed me a business card and told me to contact him if he could ever be of any help on my path towards becoming a doctor of veterinary medicine. That business card was the key that unlocked my future career. Despite a hectic schedule, Dr. Baynes takes students of any experience level under his wing each school year to give hands-on experience in the career he loves. 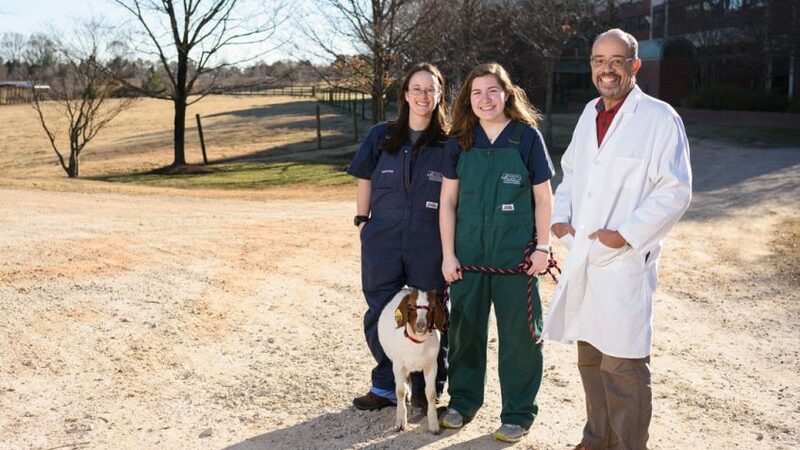 Dr. Baynes, and many countless mentors I have had during my time at the NC State College of Veterinary Medicine, have provided the place to dream dreams and build visions. By now, he has mentored hundreds of undergraduate, graduate and veterinary students. I am one of those lucky ones. His pathological optimism made some of the worst days in lab a little bit more bearable. The mark of a good leader is measured by the impact he has on the people he leads. Through mentorship, I began to realize just how much being a part of Dr. Baynes research lab taught me. Over the course of our lives, there are a few people who have a major influence on the way you look at the world and define what is most important. The mentors I found at the CVM, including Geof Smith, Jennifer Davis and Derek Foster, have all made significant impacts on my life and career. Because of these outstanding professors, I found myself wanting to pass on my passion for research and clinical medicine to other students. One summer, as I worked as a camp counselor teaching high school students about a career in veterinary medicine, that opportunity finally came. At the end of one of the camps, a bright, dedicated and passionate future NC State pre-vet student named Claire Bublitz asked for my business card. I handed her one of mine, and told her to contact me if I could ever be of any help on her path towards becoming a DVM. Almost four years later, Claire joined the FARAD lab as an incredible undergraduate researcher. We currently work side by side on protecting animal and human health. Students like Claire, who had a contagious enthusiasm for research, reignited my own dedication to this profession. Mentorship encourages you to take leadership and aim for higher goals. By having a mentor who believes in you and vouches for you, one who is willing to take the risk to share their network, you know automatically that they will go the extra mile to give you a hand when you need it. That support isn’t just appreciated — it’s life changing. Danielle Mzyk is an DVM/Ph.D student and a graduate research assistant in the Department of Population Health and Pathobiology at the North Carolina State University College of Veterinary Medicine.